Dr. David Martinez was born and raised here in Albuquerque, NM. Prior to starting dental school, he worked as a pharmacist with Walgreens Pharmacy after receiving his bachelor degree from the University of New Mexico College of Pharmacy in 1998. In 2003, Dr. Martinez graduated from the University of Colorado School of Dentistry, receiving his Doctorate of Dental Surgery. While in dental school, he served two terms as Vice-President of the University of Colorado Health Science Center Student Senate. He was also awarded the Predoctoral outstanding student in pediatric dentistry. In 2005, Dr. Martinez completed a pediatric dental residency at The Children's Hospital in Denver, CO. During this 2 year residency, he gained valuable experience and knowledge in pediatric restorative dentistry, behavior management, oral/conscious sedation, pediatric dental trauma, orthodontics and special needs dentistry within a unique hospital environment. Dr. Martinez's research at The Children's Hospital was published in Pediatric Dentistry. Dr. Martinez was also selected and served as chief resident his final year of residency. 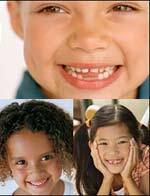 Dr. Martinez is a board certified pediatric dentist. Along with his diplomate status in the American Board of Pediatric Dentistry, he is also a member in the American Academy of Pediatric Dentistry, American Dental Association and several state and regional dental societies. Dr. Martinez holds hospital privileges at Presbyterian and Lovelace hospitals.